Heres hands-on advice from a professional horticulturist and experienced fruit grower to help gardeners create an edible landscape. 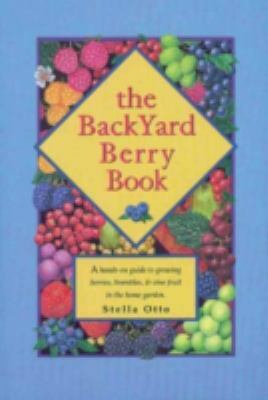 "The Backyard Berry Book" provided all the information that backyard gardeners need to grow strawberries, rhubarb, raspberries, blackberries, blueberries, lingonberries, currants, gooseberries, grapes, and kiwi fruit. Includes details on soil nutrition and testing; disease, pest, weed, and bird control; and trellis design. A trouble-shooting section and Seasonal Activity Calendar will help ensure success.Lee, Rachel is the author of 'Backyard Berry Book A Hands-On Guide to Growing Berries, Brambles, and Vine Fruit in the Home Garden' with ISBN 9780963452061 and ISBN 0963452061.